Create your own pure air zone wherever you go. 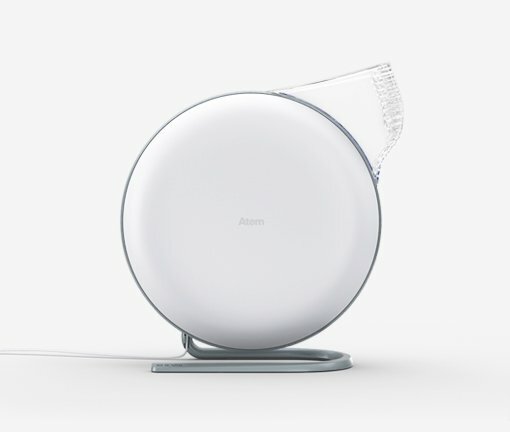 Take control of your own breathing zone with the Atem personal air purifier. Sleek, compact and powerful, the Atem lets you take charge of the air you breathe. When you're not inside your home, the quality of the air you breathe is out of your control. The Atem shifts that power back to you. Simply plug it in and focus the PureJet air diffuser to your breathing zone. Feel your best wherever you rest. More content from the Manufacturer available HERE.